The project was for 21 family houses, with 3 wheelchair family houses in Blairdardie for Cube Housing Association. The site is a south facing sloping site raised above Great Western Road on a wooded embankment. Indigenous tree species predominate both along the banking, which forms part of the nature corridor of Great Western Road, and also dotted across the site. We have sought to increase the biodiversity on the site by planting new indigenous trees in between the new houses. These will extend the tree cover from Great Western Road right up to Moraine Avenue at the northern boundary thus encouraging the wildlife from the nature corridor right up through the site and into people’s gardens. The buildings have been set in amongst the trees in a relaxed way with a focus on creating south facing external spaces adjacent to each house. The site slopes from north to south. 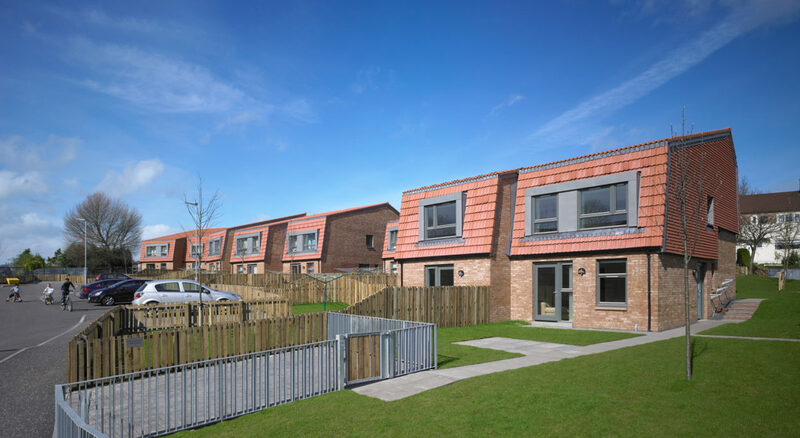 Through careful setting out of levels and the use of split level arrangements a layout has been achieved that allows barrier free access to all houses. The houses are predominantly family houses with the split level offering an alternative layout to the conven- tional 2 storey house creating living on 4 half levels. Where the site levels out the 3 wheelchair family houses have been located. 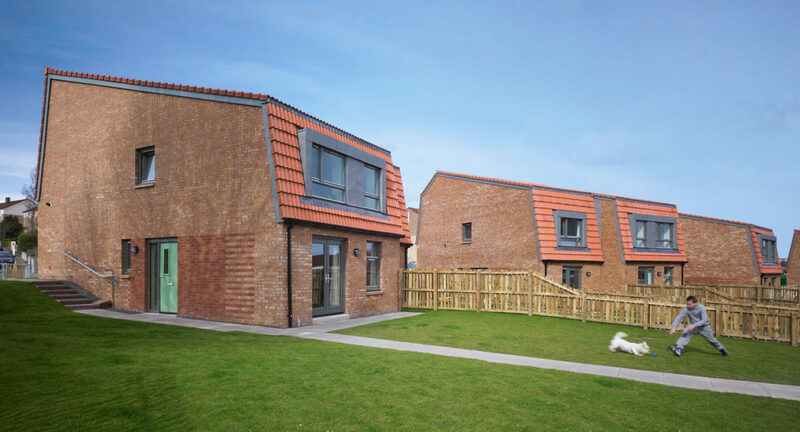 These have been developed in con- sultation with the Glasgow Centre for Inclusive Living and are 2 storey houses with an internal platform lift and are indistinguishable from the other family houses. 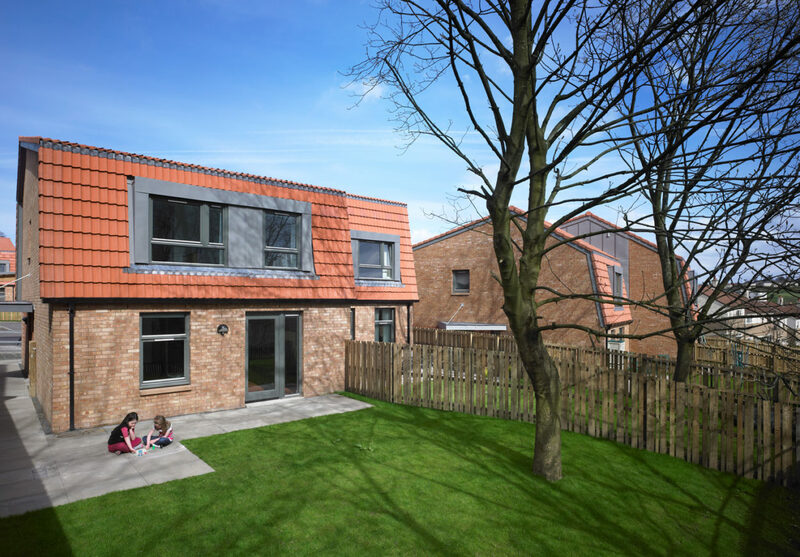 The built form and materials relate to the adjacent 1950’s bungalows using natural red pan tiles and brick augmented with local recycled materials.